From a paper cut to a scraped knee, a nose bleed to a head trauma, being prepared for any emergency is the best kind of medicine. Follow our First Aid Kit 101 to ensure you have the basics for any scenario. You never know when you may need access to a variety of supplies, so we recommend having a few options of kits ready and on-hand. 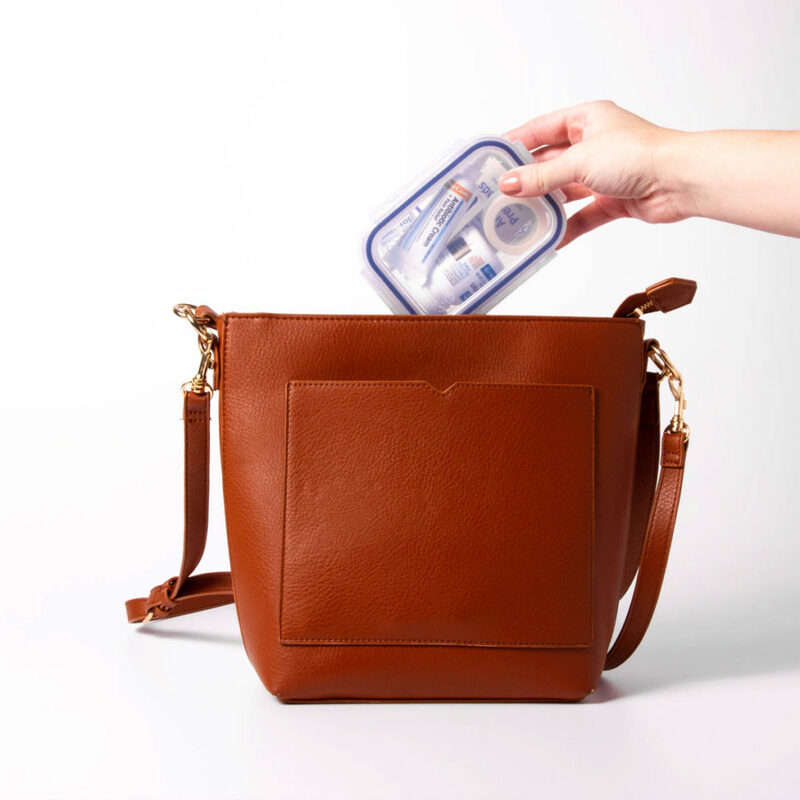 First Aid kits should be located in your home, in the car, as well a compact version to take on-the-go. Pain relievers (ibuprofen, acetaminophen, etc. Duplicate your most used and favorite on-hand items from your at home kit to condense into a travel friendly size. Use a small plastic container for a clear view at the contents inside as well as a spill-free option. We recommend having band-aids, pain reliever, and antibiotic ointment as a starting point. It also helps to take the items out of their packaging to make room for what you really need. Be sure to have a kit ready for any car emergency. 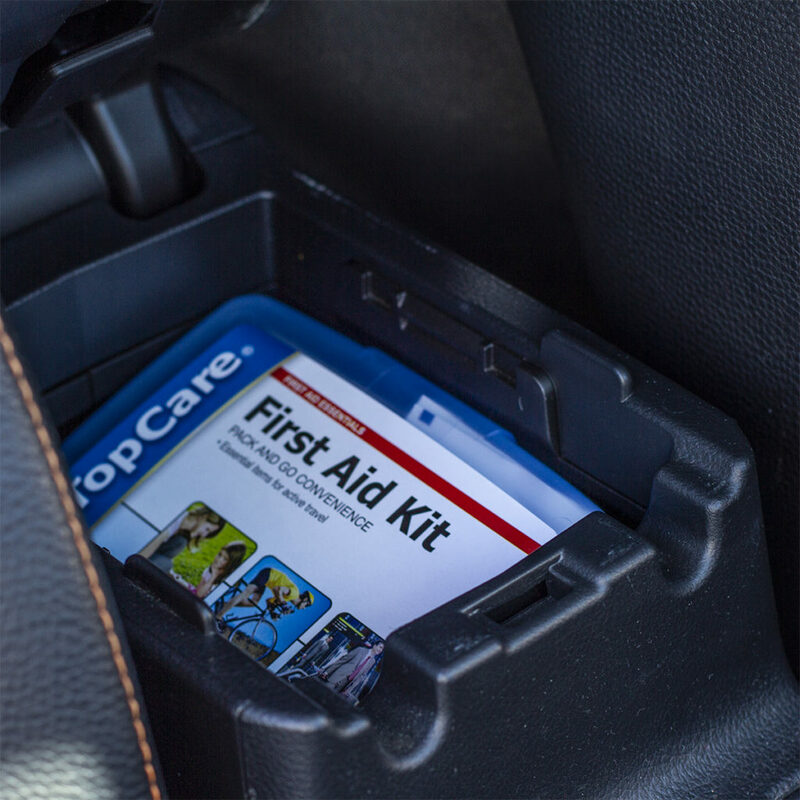 A pre-made kit from Top Care® will fit perfectly in your glove-box or center console. 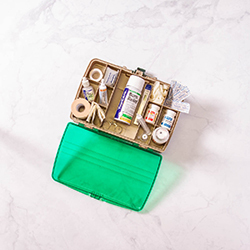 Whether it’s you who is hurt in an accident, or witnessing one and being able to offer your assistance, a First Aid kit is a must for any mode of transportation. Include any personal items like emergency numbers and medications your doctor may suggest. Check your kit frequently, and go through expiration dates and be sure to replace any out-of-date supplies. Thinking ahead is the best way to be prepared. There’s no time like the present to put together your first aid kit!